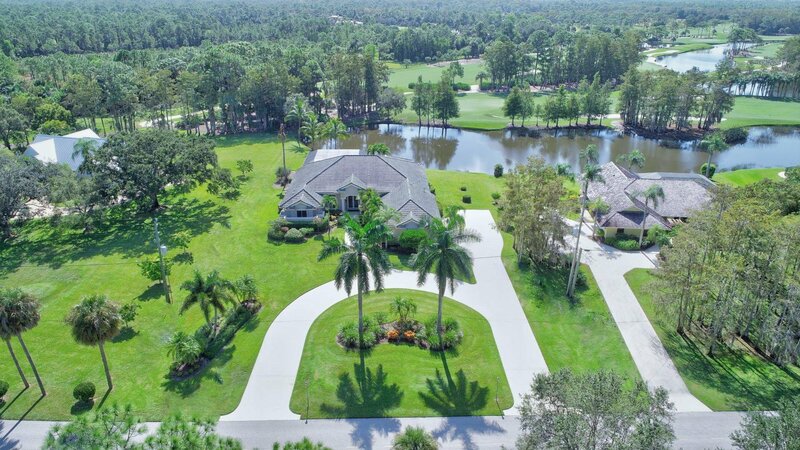 Beautiful CBS pool home with fabulous water and golf views from all living areas and bedrooms situated on 1.22 acres of scenic property in the unique gated community of Ranch Colony. This 3,239 living sq. ft. home (4,544 sf total) features 3 bedrooms plus an office/den, 3 full baths, a formal living & dining room, over 1,000 sq. ft. screened patio with a newly resurfaced heated pool & spa with waterfall, and an oversized 3 car side load garage. 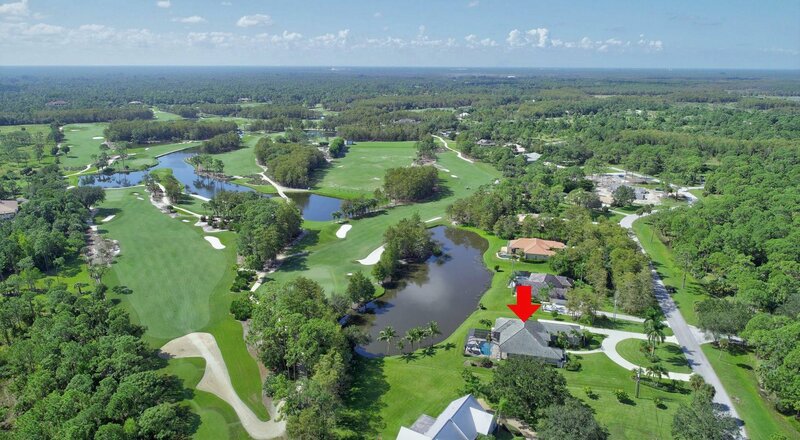 This custom designed home overlooks a lake and 1st hole of the prestigious Dye Preserve golf course surrounded by pristine nature preserves. The home boast special features throughout such as stunning views from large picture windows, soaring volume & tray ceilings, double crown moldings, halogen lit art niches, 8 ft. solid core doors, arched entryways with accent moldings, etched glass doors & panels along with designer drapes, and a wired sound system. The kitchen is equipped with gas for cooking in double ovens & an island vented cook top, and features generous solid maple wood cabinetry with matching paneled appliances & under cabinet lighting. There is a walk in pantry, planning desk, granite counter tops and a snack bar that opens to a nook for breakfast or casual dining. The adjoining family room with a wet bar & wine coolor has a built in entertainment center with matching cabinets and sliding doors accessing the paved pool & covered BBQ area. The spacious master suite offers two walk in closets, a sitting area with tranquil views and sliders leading to the pool & spa. The master bath is outfitted with tumble marble, a large wrap around shower with dual heads, Roman tub, double sinks and a separate water closet. 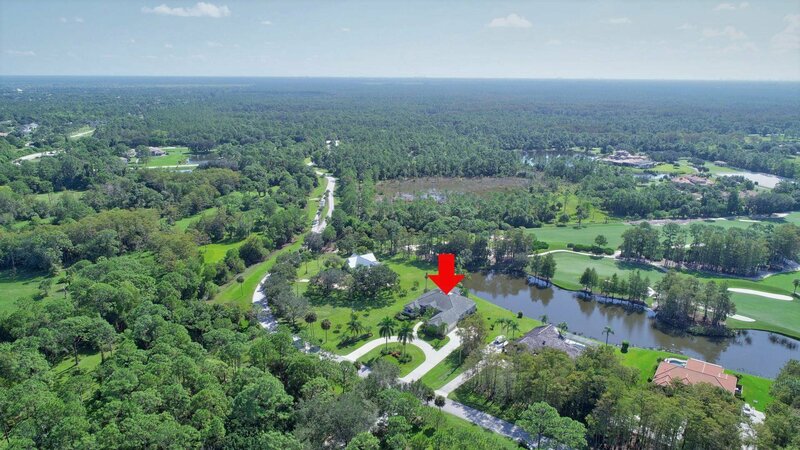 Some exterior features include landscape lighting, a large circular driveway, irrigation system from the lake and complete accordion hurricane protection. Ranch Colony is the only 24 hour manned gated community with very low HOA fees offering variable lifestyle choices such as equestrian estates, airpark properties, and 2 private golf courses all surrounded by a nature preserve. Estate properties range from $650K to $18 million. 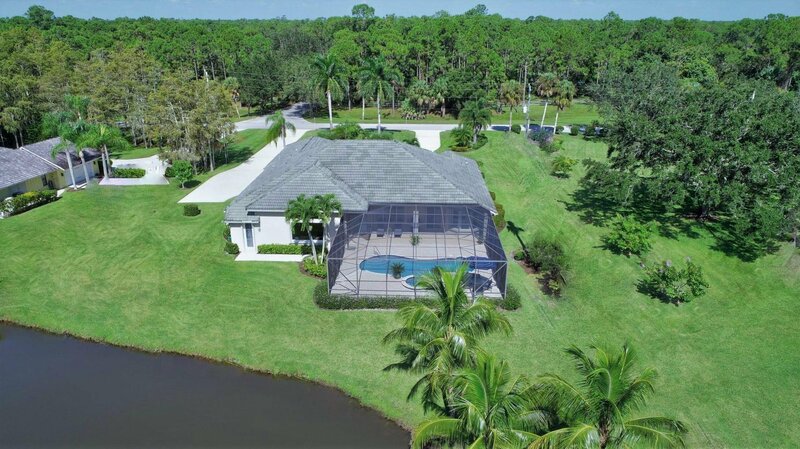 This prime and private neighborhood is just minutes to restaurants, shops and beaches with easy access to the Turnpike and 1-95. Owner financing available; furniture negotiable. Listing courtesy of Preferred Properties Int'l Rea. Selling Office: Sutter & Nugent Inc..